Depending on your smile goals and functional needs, you may be a candidate for veneers, crowns, or even both. Each of these highly cosmetic dental options serves a specific purpose, yet both may contribute to a larger overall treatment plan, such as with full mouth reconstruction or smile makeovers. Dr. Kayvon Javid and Dr. Mariam Nadi have a particular aptitude for knowing how to gain the best of both cosmetic appearance and function, often incorporating veneers and crowns to achieve your perfect smile. Typically made of porcelain, both veneers and crowns are custom crafted for your individual needs. Many similarities exist between these two restorations, but each uniquely serves a different purpose. Notably, veneers are placed in front portions of the mouth, while crowns are well-suited for any tooth. Whether your treatment plan includes veneers, crowns or both depends on your own functional and cosmetic requirements for a bright, healthy smile. Learn whether veneers and crowns are right for your smile by scheduling a personalized cosmetic dental consultation with Dr. Javid or Dr. Nadi today. Veneers are shell-like restorations mimicking natural tooth structure covering the outward-facing surfaces of the teeth showing when you smile. Often recommended when wanting to hide enamel defects, chipped or uneven edges, spacing and crowding of the front teeth, veneers restore a beautiful, balanced look to your smile line. Veneers are permanently bonded to your teeth, giving you a winning smile for years to come. Dr. Javid and Dr. Nadi have a passion for creating brand new smiles for patients of all ages. Through their combined [#years] of restorative and cosmetic experience, and professional memberships like the Academy of General Dentistry and American Facial Esthetics, they have acquired refined artistic craftsmanship and a keen eye for knowing how to give you the smile of your dreams. Whether your needs are restorative or cosmetic in nature, or a combination of both, trust Dr. Javid and Dr. Nadi to deliver your very best smile. 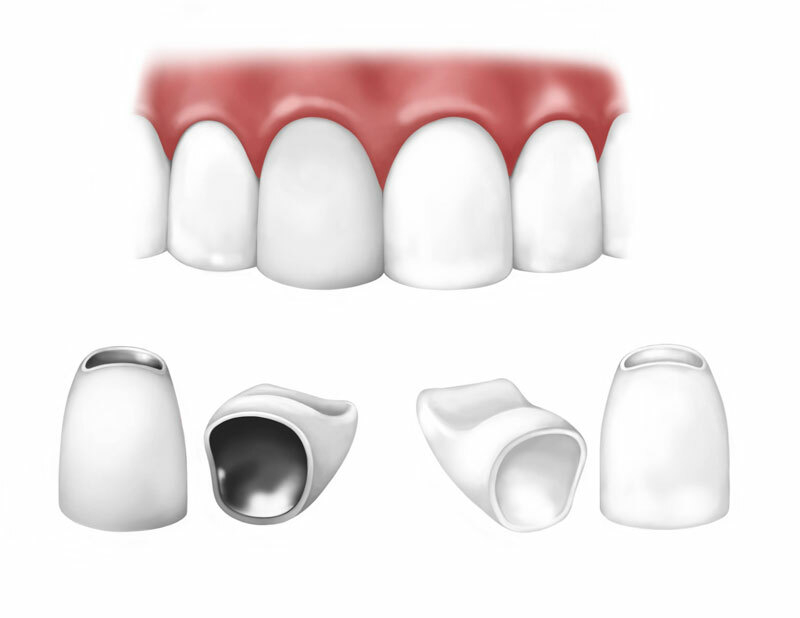 Dental crowns look, feel and function like solid, natural tooth structure. Used to restore teeth with extensive decay, cracks, fractures, significant wear or root canals, crowns provide full protection and coverage of remaining tooth structure, returning biting or chewing ability and high end esthetics to your smile. Crowns are permanently cemented to ensure a solid, secure return to oral health.